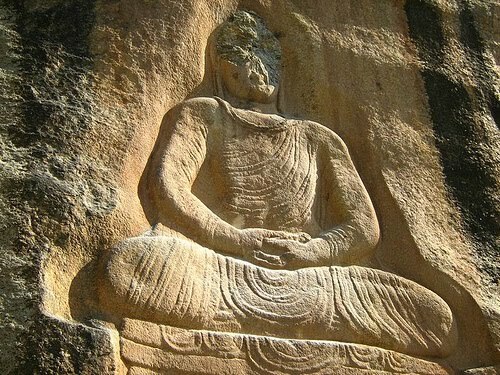 Buddha carved into a rock in Jehanabad, 118 miles north of Peshawar. ... a Twain scholar from Auburn University in Alabama believes he has found a way to teach Huck Finn without all the controversy about race and language: Alan Gribben is editing a new version of the classic novel that will remove all 219 instances of the "n-word," replacing it with the word "slave." The book will also replace the word "Injun." “A Coup for the Rich”, by political scientist Giles Ungphakorn, was ordered off the shelves at Thammasat University’s bookstore last week, the only shop in Thailand that sold the 144-page book. Censorship, or at least the motivation to censor, is a fact of human existence. It's been that way ever since the very first illiterate philistine hacked the face off a statue depicting whatever god his illiterate king no longer worshiped. How should freedom-loving people respond to it? Censorship may still be a fact of life, but the environment in which censorship occurs is distinctive. First, on account of the growing competition for attention in an increasingly online world, many worthwhile works of history and literature face appalling neglect. That is to say that censorship is by no means the only threat to books these days. In today's multimedia environment, good literature stands in dire need of a major marketing initiative. Second, censorship remains pervasive. Reading materials most readily accessible to students around the world continue to restricted for political or cultural reasons. Third, technology has finally reached the stage where any censorship ought to be viewed as an opportunity to address the first two issues. So here's a plan -- one that involves a dash of marketing and a jot of jujitsu. We encourage illiberal elements to propose that lists of censored books be widely distributed to schools. We agree that such lists ought to be framed and hung in every classroom. Are you listening Sarah Palin, you who allegedly banned certain books from the Wasilla Public Library? We get behind Palin or any other paleoconservative nitwit to whom the idea of promoting such lists strongly appeals. At the behest of President Palin, the US government might decide to distribute these lists; at the urging of countries like Thailand and Iran, perhaps UNESCO could be convinced to fund the distribution of lists of banned books to schools throughout the entire world. That should be fine by us. Such lists brand books as "interesting," providing motivation for exploration and learning. Ultimately censors and bowdlerizers are doing society a favor, casting spotlights upon important works of literature. The brighter their spotlights, the better. By the same token, it's questionable whether literary or historical works that no powerful group has ever tried to get banned are of monumental value to a society. This could prove a useful observation, because global culture desperately needs a new way to sort the wheat from the chaff. Modern societies are drowning in content, much of it of little discernible value. Today's students lack awareness of a canon -- a recognized core curriculum that could serve both as the foundation for the development of their thinking as human beings and a starting point for dialogue across cultures. A designated canon could lay a solid foundation for global citizenship. Yet, deciding what books to include in a canon always leads to heated disputes. What ought to bring people together, only ends up dividing them. But what if "the canon" were to consist only of works that powerful organizations have struggled most fiercely to ban, bowdlerize, or burn? Present and past lists of "most censored books" might define the boundaries of a global canon. The first question would be: has this or that work been censored frequently and strongly enough to merit inclusion in the canon? The merit of this approach is that instead of having to prove that a book is sufficiently "great," proponents of a work first have to demonstrate that it is -- or has been -- sufficiently "despised." Scholars and artists should have a voice in the process, but the latter criteria provides the more objective starting point. But how to distribute content? Just as recently happened with regards to WikiLeaks, a digitally minded activist-publisher might promote a network of internet mirrors for the distribution of the new global literary canon to every corner of the planet. Alternatively, this canon could be stored on memory cards. Millions of these could be manufactured at low cost, the data accessed by way of tomorrow's cheap smart phones. Literature could use a marketing boost. Promotion of books should be funded by those groups most opposed to them. To some extent, this happens anyway. To make the most of such "free" marketing, lists of censored books should be 1) widely distributed and prominently displayed; and 2) used as criteria for inclusion in an internationally recognized literary canon. At the very least, popularization of "the canon" ought to give many organizations reason to pause before they attempt to censor anything. There was a guy in the MIT who went even further - it's the same guy who proclaimed himself the first real cyborg, a cybernetic organism. Anyway, it's been years now, as the legend goes, the dude sees the world through cameras that project images into wearable displays/glasses (or maybe now right into his brain), removing all the unwanted advertisements that the dude doesn't want to see, or instead supplying additional information to street signs, product bar codes etc. Commercializing, mass-producing, and customizing such technology would result into a perfect world for everybody. One could, for instance, travel overseas scarcely noticing there was any foreign language - everything would seem as it were in one's native language (cellphones already provide a glimpse of that future). Or back to the "n-word", people could adjust the "race" settings, and live in a perfectly White, Black, Asian, or Multicultural world, as they please - just by photoshopping faces of the people around (hm, that's creepy)... Automated censorship will be so embedded in all forms of information processing, that the very notion of censorship may actually cease to exist. Automated censorship will be so embedded in all forms of information processing, that the very notion of censorship may actually cease to exist. The process starts with schools protecting children from controversial sights and sounds in the world. Another example is pharmaceuticals, drugs like Ritalin which American educators and physicians prescribe to students; these alter undesirable behaviors and perceptions. Lacking exposure to reality, lacking skills with which to cope with reality, they will grow to demand reality-alteration products as adult consumers.